With an embossed nitrile foam palm for enhanced grip and a comfortable, ergonomic design, the Showa 381 Microporous Foamed Nitrile-Coated Gloves are ideal for a wide range of general handling tasks. 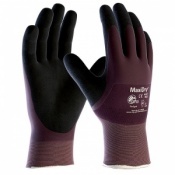 Manufactured from spandex with microfibre properties, the gloves wick away sweat and keep the user's hands cool. The Showa 381 Gloves have been tested to EN 388, the European Standard that gauges a gloves resistance to a range of physical threats. Please see the table below for a breakdown of the results. The embossed nitrile finish on the Showa 381 Gloves disperses oil away from the surface of the glove, allowing for long-lasting grip in light oily environments. 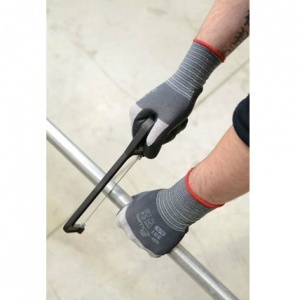 This microporous coating also allows warm air and moisture to escape, keeping hands dry and cool. 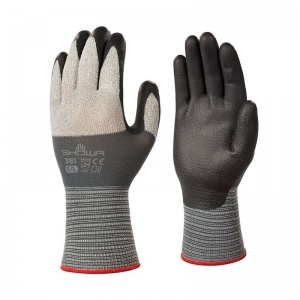 The Showa 381 Gloves are available in sizes 6, 7, 8 and 9. Please refer to the table below for details. Really good gloves. Tactile and light. I use them all the time.